At the Southwest Plastic Surgery Outpatient Surgery Center, you can count on the latest technologies, state of the art facilities, and utmost privacy. You will experience service and luxury beyond what you can imagine. Only clinics that have been thoroughly inspected by the AAAASF and meet 100% of their safety standards are qualified for accreditation. As such, Southwest Plastic Surgery, Dr. Agullo, and our entire cosmetic surgery team can ensure the highest standard of quality care to our patients and their families. State of the Art Facilities. State of the Art Care. Because we implement the use of general anesthesia and IV sedation in our practice, AAAASF accreditation gives our patients the assurance that they are in the best hands possible for any plastic surgery procedure. Our modern facility bridges the gap between outpatient surgery centers, hospital settings, and the care that you deserve. We are able to perform many procedures right here in our office, which meets the standard of care for an ambulatory surgical center. Not only is this more convenient, but it makes your care safer and more affordable than ever before. As a certified AAAASF provider, Dr. Agullo has proven that he is an expert in his field. 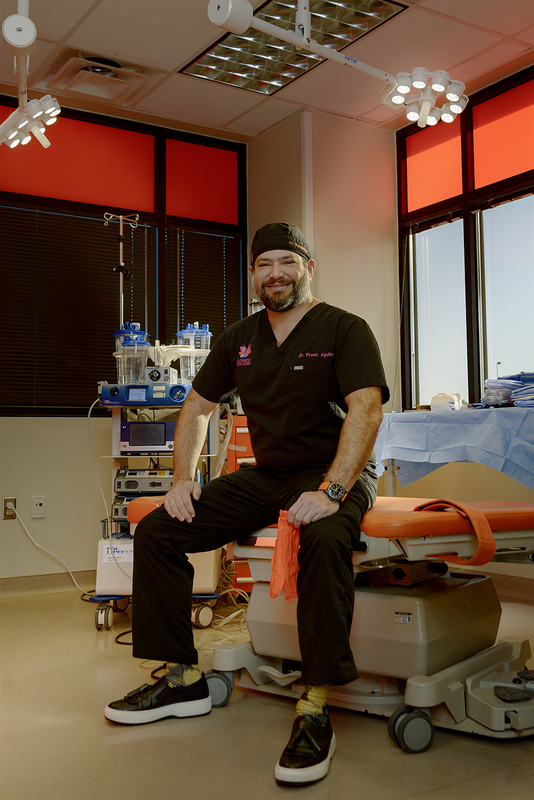 He is not just an everyday provider practicing procedures that he learned at a weekend continuing education seminar. Rather, his credentials safeguard you and protect our patients from experiencing sub-par care. Although many elective cosmetic procedures can be completed using local anesthesia, many call for the use of deeper sedatives, such as oral sedation, IV sedation, or general anesthesia. The AAAASF assures the patients that Dr. Agullo has the highest level of education, training, and experience to manage the use of sedative medications here in our ambulatory facility. This prevents you from having to have procedures completed in a hospital, along with hospital or surgical staff that you may not be familiar with. Instead, we keep you comfortable – right here in our El Paso plastic surgery office. Many providers claim to offer “sedation” in their practices, but they are not always licensed for more than one type of sedative procedure. Why take risks that jeopardize your safety? In 1980, the AAAASF established criteria to verify the credentials, establish requirements, and implement safeguards to protect people like you from non-accredited ambulatory surgical facilities that implement unsafe sedation and anesthesia practices. Over 2,000 certified outpatient surgery centers in the U.S. are under the oversight of the AAAASF. Each and every one of them must meet industry standards on equipment, operating room safety, and staff credentials. Unfortunately, the majority of ambulatory facilities do not meet these criteria. Many patients unknowingly receive their care at uncertified facilities, simply because they assume their healthcare provider has done the research for them. This isn’t always the case. Although membership is voluntary, the medical community is taking legislative action to begin enforcing industry standards such as those maintained by the AAAASF in order to protect patients like you. Many states are now mandating that their surgical facilities achieve accreditation, but several still do not. Being that our facility is located in El Paso, TX, Southwest Plastic Surgery follows the Texas State Department of Health licensing and credentialing requirements; including AAAASF accreditation, which is considered the “gold standard” of patient care and safety. As an MD, Dr. Agullo meets board regulations established by medical boards, as well as certification with the American Association of Plastic Surgeons. Southwest Plastic Surgery meets all Health Insurance Portability and Accountability Act (HIPAA) regulations in regard to patient care. Your privacy and confidentiality is extremely important to us. It’s something that we pride ourselves in. Any procedure, appointment, or information shared between you and our staff will be conducted in a confidential manner that is not shared with any 3rd party unless specified by you directly. This includes discussing your case in earshot of other patients, family members, or staff. For over seven years, Dr. Agullo has delivered state of the art plastic surgery to our El Paso area patients. His pristine eye for detail and experience with a wealth of care techniques allows him to deliver customized treatments that meet or exceed the expectations of people just like you. When you visit Southwest Plastic Surgery, you can rest assured that you’re in some of the best hands possible. Whether you’re in need of a procedure that’s simple and non-invasive, or a complex makeover from head to toe, our in-house surgery options can help you put your best face forward for a healthier, more beautiful outlook on life.